She is a beauty and her smile made me smile. You do a great job styling and taking care of her hair. She looks more and more like you each time you update and she sat so patiently as you talked about her hair!!! Its sooooo pretty, makes you wanna transition huh? Well it makes ME wanna transition! lol. You are doing a great job on her hair. It looks great! 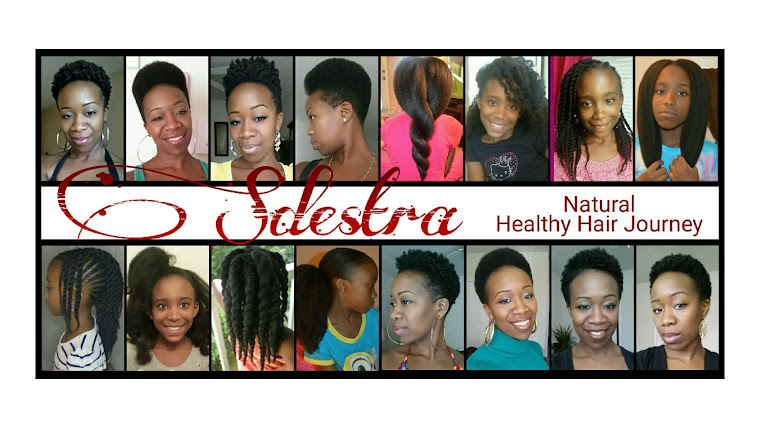 Most ladies transition with the purpose that they want their kids to love their own natural hair. Some also claim their kids have problems with their natural hair since they also want straight hair. Have you had to make the decision to transition for the sake of your daughter or have you had a form of education for her.I'd love to know how you do it. Great question! I know of a lot of mothers who have transitioned for the sake of their daughters and many who have not transitioned who have daughters with natural hair. Until now, I have never come across the issue with my daughter being disturbed or feeling negatively about her natural hair. In fact, she finds my hair to be boring because I have it straight ALL THE TIME and all I do are curls, ponytails, french braids and buns. She feels that her hair is more versatile than mine because we can do the same things I do with mine on hers, but a lot more in it's natural looking state as far as puffs, cornrows, twists and twist outs. She does know that my hair is chemically straightened because we discussed it before. And she does understand that people make certain choices for themselves and it doesn't affect her. She will be the first to tell anyone that everyone is different and they can wear their hair however they want to. I think part of it has to do the with how versatile I am with her hair and she loves it...this is just a guess. She asked about everyone's hair one time when she was in Pre Kindergarten...her question was, why did everyone in her class have different colored hair. I thought it was interesting because she didn't ask about people having straight or curly hair. Since she was young, my husband and I worked to build her confidence (which every parent should do) that she likes herself for who she is; she is beautiful, she is unique, smart and should always be motivated in life. We have always encouraged her to love and be herself. I will not say that she will never ask me these questions or will not ask for her hair to be chemically processed in the future which may come or not. As many children that are out there asking their relaxed haired moms to have straight hair, there are also young girls who don't bother to ask at all and like their hair the way it is. Whatever decision a mother makes to make their daughters comfortable with themselves in any aspect in life is important. But if my daughter is comfortable, then I am too and it will be adjusted accordingly when things do arise. For now, I do not plan on transitioning and will continue our healthy hair journies together the way it is. I hope this helped answer your question and thank you so much for asking :-))! She is so precious and her hair is lovely and so long (I love how her puff just got bigger and bigger over time). Thank you so much Tonkabelle! Pictures do say a lot and I was pretty pleased with how much it has grown. What products do you use in your daughters hair? So sorry for now responding to you Latoya, I over looked your message. 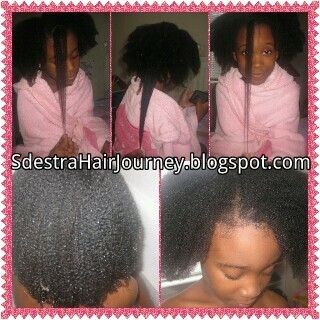 Her regimen is posted undwr the tab "Children's Natural Hair Regimen". I apologize for the delay in responding.